This morning bento is very very simple and I did not have any clue at all what I intend to do until I took out the “Jiang Su” biscuits from its bag. I bought these biscuits from the morning market and was quite excited in seeing them. These biscuits reminded me of the old Chinese movies where poor people will always fight for the last piece of it and its always wrapped in a white piece of cloth. I think its so cool to see and actually taste them in the “real life”. Haha! You may see the real picture of it here and more description of how it taste too. So this morning I did a East meets West kiddos! 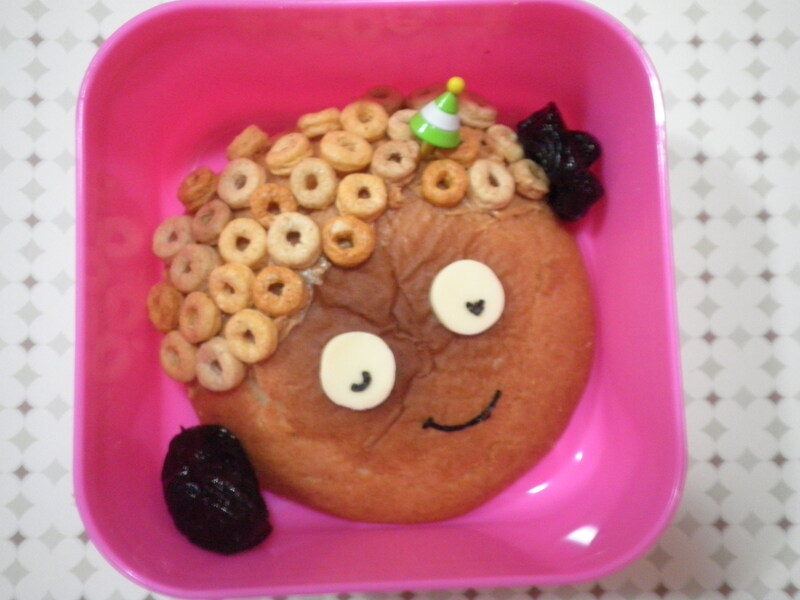 I pasted crunchy and healthy Cheerios as hair on the Jiang Su biscuits with some think layer of peanut butter. 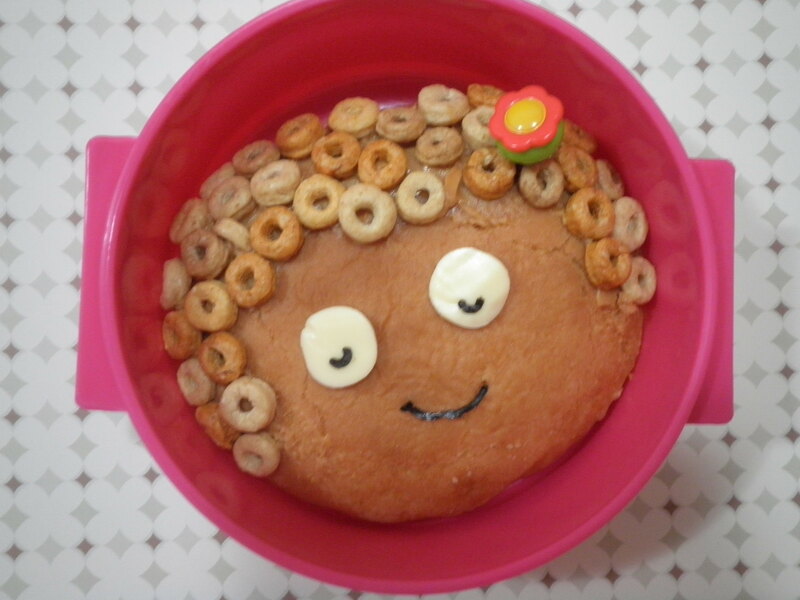 Then decorated the facial features with the norm i.e. cheese and nori. The little boy’s bento has two little prunes in it and seems like the boy is listening to some music with the headphone! Haha! Am quite happy with these morning’s creation although I had a bento block earlier. Have a Cheerful Day everyone! 4 Responses to "The Cheer-ios Biscuits Kiddos"
Those are SOOO adorable! What a great way to do curly hair. I’m going to pin this! so stinking cute!!! The little boy one makes me smile. The wrinkles in the bread between his eyes make it look like he’s scrunching up his face in a typical mischevious little boy manner! That pretty sums up how my nephew is! Haha! Thanks for your kind comments.